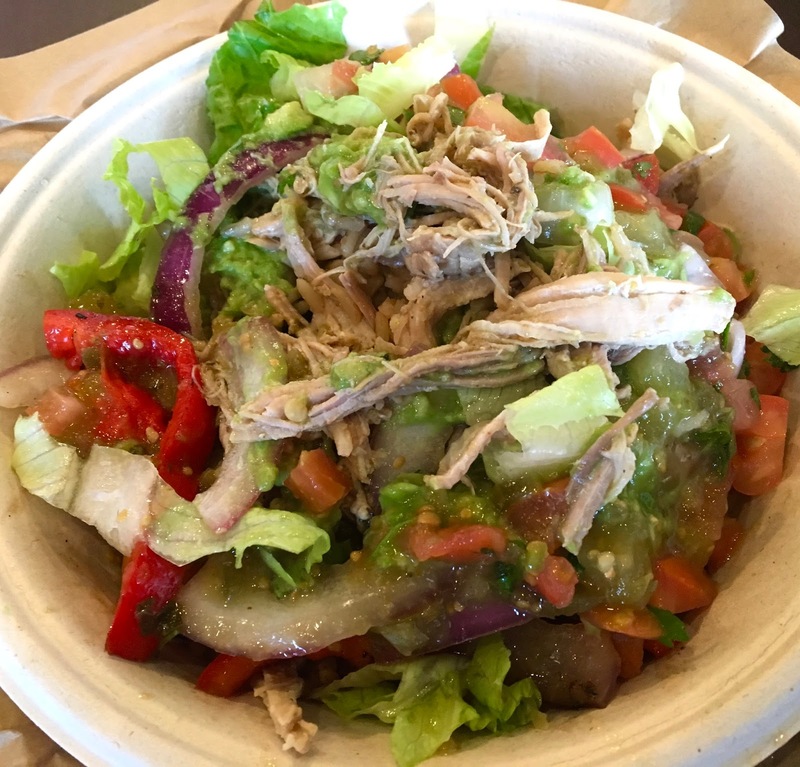 For gluten and dairy-free diners, the two menu items that are safe are a salad (without the tortilla bowl) or a burrito bowl (without tortilla). From there, there are an endless array of combinations to be had with proteins, sauces, salsas, and toppings. Be sure to let the staff know that you are celiac/gluten intolerant, and they are happy to change gloves and use fresh ingredients that have not been exposed to cross contamination on the main serving line. I ordered a burrito bowl, with brown rice, pulled pork, fajita veggies, pico de gallo, salsa verde, guacamole, and lettuce. My bowl was piled high with ingredients, and the generous portioning definitely gave me bang for my buck on my collegiate budget. The real star of the show is the deliciously tender and succulent pulled pork. It clearly has been allowed to marinate and slow cook, which unlocks so much flavor and achieves a simply divine texture. The salsas are bright and flavorful, while the fajita veggies have a nice grill taste and are not super soggy- they still have a firmness to them. The guacamole is creamy and has notes of lime- and actually tastes homemade, not like grocery store guac that is bland and flavorless. The brown rice on the bottom is unseasoned, but that actually works in its favor because it soaks up the juices and flavors from all of the ingredients above it. It's not dry or soggily undercooked, and rounds out the bowl satisfyingly. I haven't eaten at Qdoba in a long time, and as I was eating I wondered why I stayed away from this chain for so long. The food is darn good, the price affordable, and the portioning is quite generous, which is a trifecta that few fast food places can achieve. Strategic planning about when to visit (I chose a time before the dinner rush), and knowing what to order helps ensure the experience is stress-free and safe. I stand firm in my assessment that Qdoba definitely ranks higher than their C-named competitor, and my only wish is that they would have celiac-safe tortilla chips for dipping in their downright delicious guacamole. 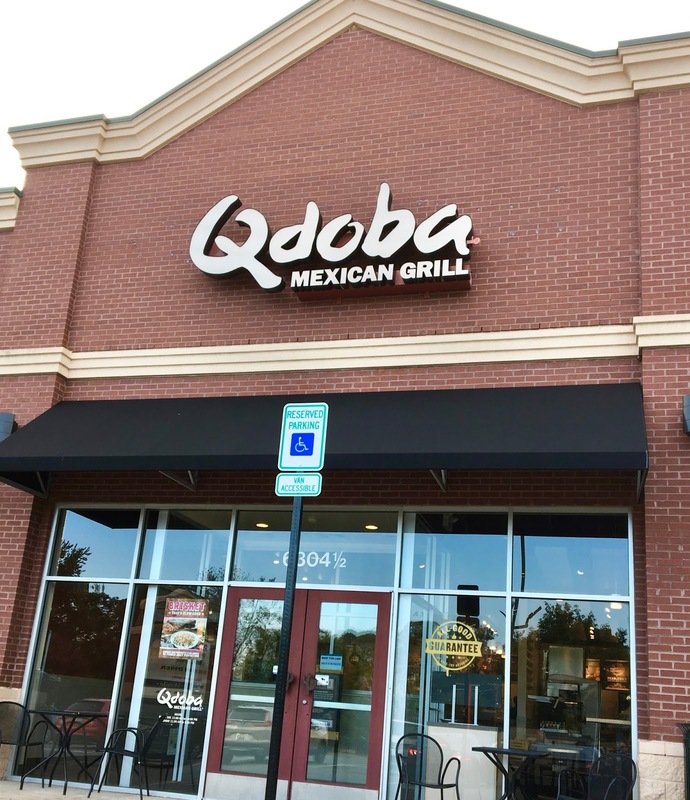 Special Feature: Sign up for Qdoba Rewards right here.